Please join us for our usual Second Saturday morning schedule on April 13. The program will include practice and discussion guided by BZC Head of Practice (Tanto) Shokuchi Deirdre Carrigan. The program will begin at 11 am and will follow a period of zazen starting at 10:20 am. Meditation instruction will be at 9 am. A vegetarian community lunch will be served ($10 suggested donation). 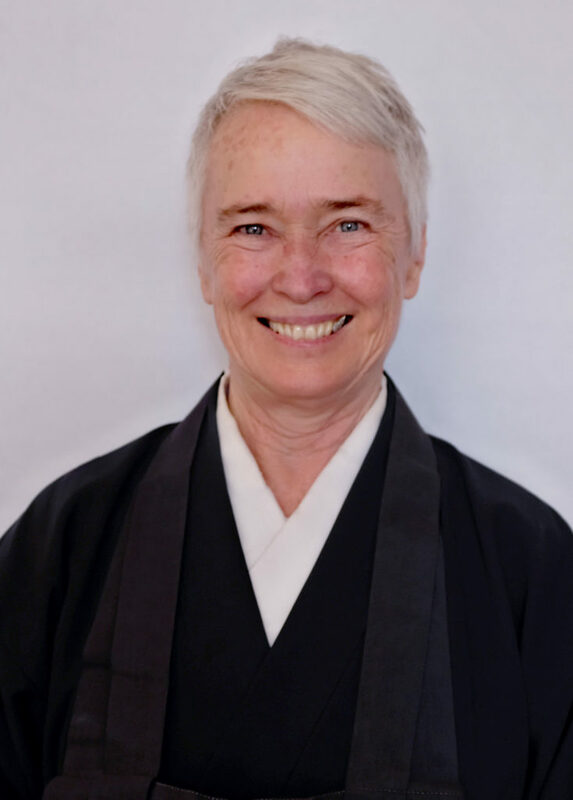 Shokuchi Deirdre Carrigan received training in Soto Zen practice as a resident of San Francisco Zen Center for 12 years, was ordained as a priest in the Shunryu Suzuki lineage by Tenshin Reb Anderson in 2010, and served as head monk (shuso) in 2014. She has taught yoga in the San Francisco Bay Area since 1988, as well as co- leading Zen and Yoga retreats at Tassajara and Green Gulch Farm since 2002. Shokuchi is currently serving as Head of Practice (Tanto) at the Brooklyn Zen Center.